Philadelphia Eagles Hall of Fame safety Brian Dawkins at the Verizon store at 15th and Walnut streets, Wednesday, Sept. 5, 2018. 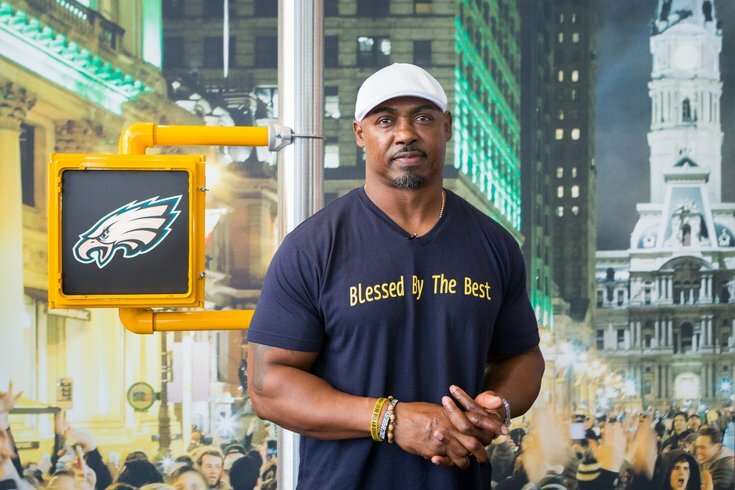 Wawa and Philadelphia Eagles' Hall of Fame safety Brian Dawkins are teaming up on a charitable hoagie promotion this month. Everything about that statement is phenomenal. The only problem is that you won't be able to eat it in Philadelphia. Dawkins, a Jacksonville native, has partnered with the ever-expanding convenience store chain to benefit the Police Athletic League of Jacksonville. To celebrate the opening of a new Wawa at 2500 Monument Rd in Jacksonville, the former Eagle will host "Dawk Day" and introduce his signature hoagie, "The Dawk." The hoagie will include grilled chicken, parmesan cheese, spinach, tomato, pickles, sweet peppers and honey mustard on a wheat roll. When the store opens April 16, Dawkins will be there to build the first "Dawk" hoagie, which will be available through June 2 at nine Jacksonville-area Wawas. The same promotion in Philadelphia also would raise a lot of money for good causes here in Philadelphia, just saying.